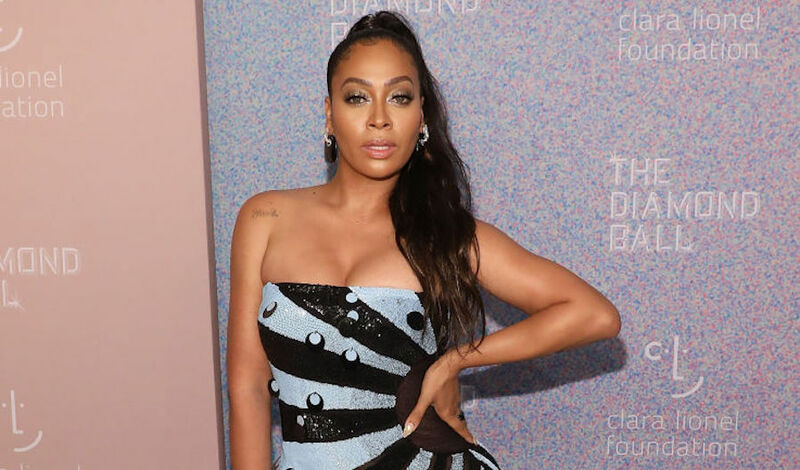 You were probably first introduced to La La Anthony when she was La La Vasquez, a former radio host turned TRL VJ who’d count down our favorite music videos on early-2000s MTV. Since her days spent interviewing everyone from Destiny’s Child to Ashton Kutcher on television, La La has evolved into an actress (she plays LaKeisha Grant on Starz’s Power), a producer, a New York Times bestselling author (she published The Love Playbook in 2015), and an entrepreneur (she has a clothing line and a makeup line). La La has long been vocal about the sexism she has experienced while navigating several careers, and her latest project is an extension of the empowering attitude she brings to her work. Funded in America is a six-part web series produced by SoulPancake, Indiegogo, and T-Mobile for Business that follows La La as she travels the country, connecting with women entrepreneurs who utilized crowdfunding to launch their innovative businesses. Among the profiled women are Fatima Hussein and Jamie Glover—two women who launched a business to create sports hijab for Muslim athletes, Alissa Chavez—a teenager who created The Hot Seat, an app to prevent the deaths of unattended children in hot cars, and Antonia Saint NY—a woman who created Hi-Tech Heels to help women be simultaneously fashionable and pain-free. Funded in America aims to bring attention to the struggles businesswomen face, as well as the incredible feats they still manage to achieve. Even though women make up more than half (57%) of the workforce in America, women-led companies only receive 2% of venture capital funding. So in addition to the sexism and harassment they already encounter, women are also unable to access money to launch their businesses. It makes sense, then, that they’d rely on alternative methods. Indiegogo reports that 47% of their successfully funded campaigns have women at the helm. I hopped on the phone with La La to discuss everything from this important series (watch all the episodes here) to her own experiences as an entrepreneur to—of course—her glorious TRL days. HelloGiggles (HG): You’re already a businesswoman, but has Funded in America taught you anything unexpected about being a female entrepreneur? La La Anthony (LA): I’ve learned so many different things. Definitely about patience. As creative people, we have so many ideas of what we could have or should have done. And you might wonder why things don’t happen overnight—but it doesn’t usually work like that. It takes a lot of patience and preparation and perseverance for any idea to lead to you becoming a successful entrepreneur. I saw that first-hand when I joined Funded in America, so I definitely took away a lot from each person because everyone’s path was really different. 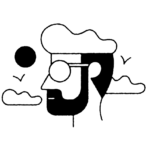 But things like knowing your idea inside and out, having patience, making sure you research the marketplace: Is there anything like this out there? How can this be effective? There are so many steps people have to take before an idea can get off the ground. HG: Is there a specific woman or a specific project you’re especially excited to have profiled? LA: I was really excited about the company ASIYA Sport. I was really into them because they provided sports hijabs for young girls who want to play sports, and we went to a high school and gifted a bunch of girls sports hijabs. They were just so excited to be able to participate in basketball, soccer, and volleyball, and still stay committed to their beliefs and religion. That was an amazing thing to be a part of. It’s an amazing thing to see the girls’ faces when they got the sports hijabs—just how happy they were to feel included, and to feel like they didn’t have to compromise their values to be athletic. That one got me really excited. HG: You have friendships with a lot of other successful women. How does support among your female friends help you navigate your own career? How can businesswomen support each other? HG: Transitioning from this fantastic web series, we have to talk TRL. 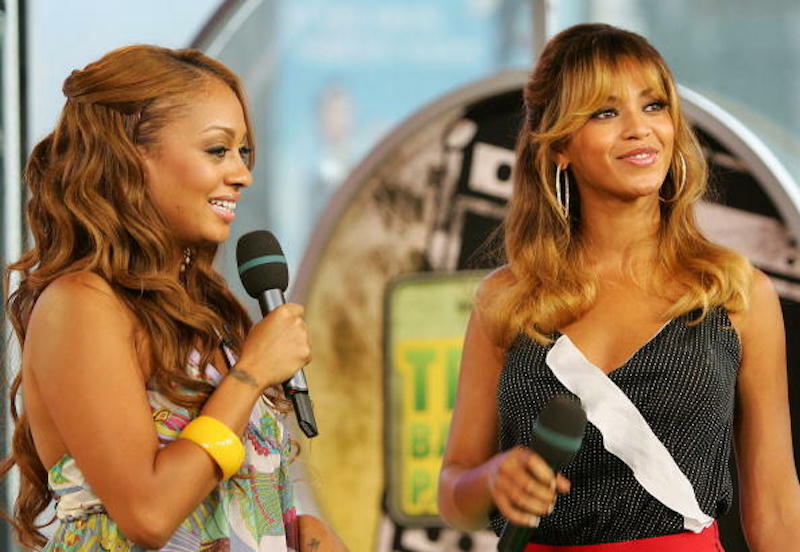 Thinking back to your VJ days, was there any TRL artist or band—besides Beyoncé, of course—who you just knew would have a long career? When you saw them perform in the studio, you just thought, oh, this person is going to be a legend? LA: Let me think, let me think, let me think. Well, Beyoncé, like you said. Justin Timberlake during the *NSYNC days. When he would come up there, he definitely stood out. I just knew Justin was gonna do some really, really amazing things. HG: On the flip side, is there any artist from your TRL days who you’d like to see make a comeback? LA: Actually, not off the top of my head because, to be honest, a lot of them—not all—but a lot of them rebranded themselves and became something different. Including myself. So for the most part, a lot of people who were popular on TRL have been able to do that, which is amazing to watch. Whether it’s a transition from music to acting, to producing—people just really evolved and grew into different things. HG: Very true. What are your favorite TRL memories? LA: To be honest, when we were there, it was a job. We loved it, but you go to work every day and do what you were told to do and just try to make great TV. It wasn’t ‘til afterwards when all of us—all of the VJs—kind of looked back. We realized we were part of something so incredible for pop culture. Like, being in the middle of Times Square every day, and having a thousand kids out there and your favorite artist in the window, and all the chaos it would cause. We knew it was special, but sometimes it takes looking back on something to really know. 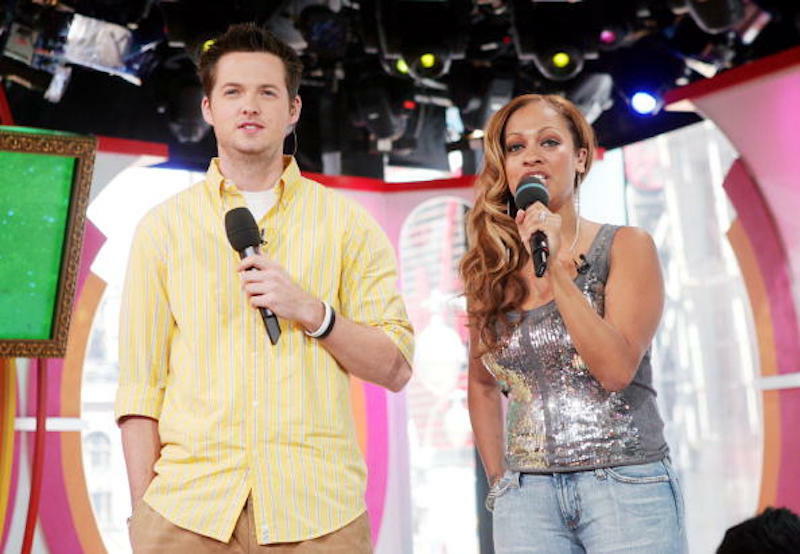 TRL as a whole was just such an iconic show. There were so many iconic moments. It was just such an important part of my life. Learn more about Funded in America here.